Between work, life, and family, your days can get busy. Where there are not enough hours in the day; odd jobs or home repairs in Sydney tend to take a backseat to other important tasks. Skill Pro Handyman tackles any home or property maintenance needed in Sydney. No job is too big or too small for our professional handymen. What Home Maintenance Services in Sydney Do We Offer? A significant benefit of using a handyman for your home maintenance services in Sydney is that our staff is highly skilled in different maintenance areas. Our company offers our handyman services for any area of your home or property. Do you have a room that needs a new coat of paint that you have been postponing? We will have a professional handyman arrive at your location around your schedule, ready to give that room a fresh look. Your bathroom is a common room that needs consistent maintenance. We are a trusted company to call when you experience issues with a toilet that needs repair, or a floor that requires retiling. It is not uncommon for several problems around your home to arise at the same time. We are also here to troubleshoot electrical issues and other plumbing repairs during our visit. Other common household jobs that we tackle include gutter cleaning, repairs of locks and screens, door and window installation and repairs and general outdoor maintenance. We understand how time-consuming these jobs are when you have a busy schedule. We aim to take that added pressure off you by getting the job done. We realise that your budget is important. We offer upfront, flat-rate pricing for all our property repairs in Sydney. There will never be an overtime charge. You will only ever be serviced by a courteous, uniformed professional handyman that caters to your property maintenance in Sydney. We know that you may require building maintenance in Sydney beyond the normal 9 AM to 5 PM work schedule. This is a key reason why our company stays open 24 hours a day, seven days a week. When you call our friendly customer service centre, our team will take down your information and the problem you are facing. We will have a professional handyman to your location according to your schedule. 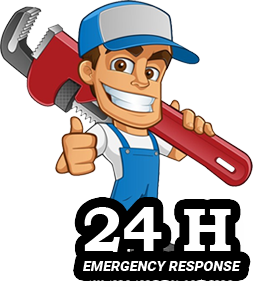 By offering 24/7 service, we aim to provide you with an immediate solution before your home repairs in Sydney become a bigger problem. Working with one of our handymen gives you the option of addressing multiple different problems using one company. As a trusted company in the professional handyman industry, we ensure that all our workers are police checked and trained with OH&S legislation. We are fully licensed and insured, so we offer you a worry-free experience. Our goal is to provide you with the best customer service and work product which is why we guarantee all of our work. For more information on our handyman services, please call us on 0424668185 or use our convenient contact page.